From a small town of about 5,000 people during peak fruit picking season, to the bustling city of Seattle, undergraduate Veronica Quintero has had to make her own dreams come true. Growing up in Mattawa in Eastern Washington, where the population is 90 percent Mexican immigrants, did not foster many opportunities, but she has made a name for herself and has learned to just make it happen. Her parents met in Mattawa after emigrating from Mexico. Her mother completed second grade in Mexico and her father attended school until eighth grade. He began working right away upon entering the U.S. as a fruit picker, construction worker, and other odd jobs that didn’t require English skills or documentation. Quintero wasn’t always sure that college was an option for her. This led to her high school mission of getting to college. Quintero worked hard, learned about scholarships, and graduated as the co-valedictorian of her class and as a Gates Millennium Scholar. While complying with her parent’s wishes of staying in state, Quintero chose the University of Washington with all four years paid by the Bill and Melinda Gates Foundation, including three study abroad experiences. Although she thought she would take the business path, David Domke’s COM 201 class changed her mind. She began to pursue a degree in Communication with minors in Spanish and Diversity. 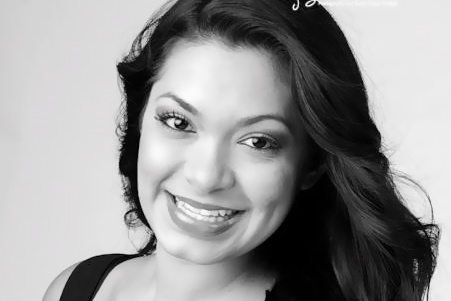 Inspired by her freshman year roommate, Fabiola Viveros, who held the title of Miss Hispanic Seafair in 2009, Quintero decided to participate in 2011. She had done Junior Miss in high school (now called America’s Distinguished Young Woman), which is also a scholarship program, but figured this one would be “ten times bigger and better.” The pageant involves months of preparation with the help of Univision KUNS-TV and other workshops that became valuable to Quintero’s future. 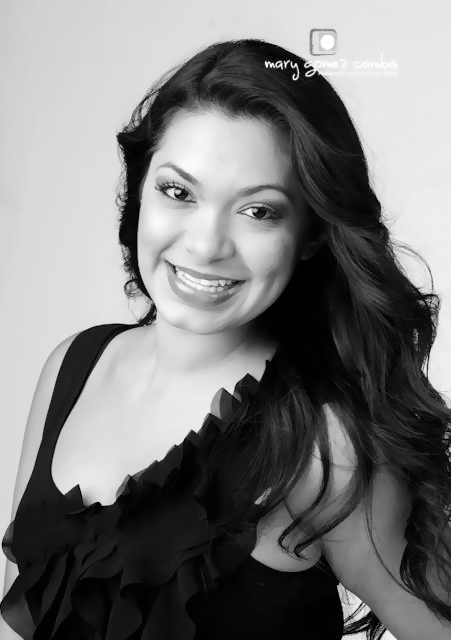 Quintero won Miss Hispanic Seafair in May 2011 and went on to compete for the title of Miss Seafair for the City of Seattle. Not knowing at the time how much historical value the pageant had for the city, she quickly learned as she was crowned the 62nd Miss Seafair in July of the same year. Quintero participated in over 200 community-oriented events, all the while holding a part-time job on campus and being a full-time student. During the times Quintero felt overwhelmed and like she just wanted to quit, her Miss Hispanic Seafair director Michelle Font (who is now her roommate) prodded her to keep going. Font won Miss Washington USA in 2007 and competed in the Miss USA pageant the following year. She now works for Boeing. Those words became the inspiration for her blog, where she tells the stories of her life and the inspiring people around her. Many of the events that she attends (and later writes about) stem from connections she made during her reign as Miss Seafair. One of those relationships led to Quintero starring in two commercials for Community Health Plan of Washington, which paid for her entire cancer treatment when she was diagnosed with lymphoma at age nine. Although Quintero’s friends jokingly criticize her for being busy and taking on more than she probably should, that’s just how she wants it. Participating in three study abroad programs is one way that Quintero is not wasting time. She began in Tahiti after her freshman year, where she studied mixed race experiences for a month. Although she enjoyed the warm weather, she decided she wanted her next trip to challenge her “as far as everyday luxuries that we take for granted.” While being accepted to two programs, the Rwanda trip fell through, so she went to India to study women’s leadership. Although the differences of language, culture, and religion were evident, Quintero chose to focus on the similarities. After India, Quintero decided she wanted a quarter-long experience, so she applied to the Communication trip in Rome. Although learning the language was difficult because Spanish is so similar to Italian, she enjoyed being more of a seasonal traveler, rather than just a tourist. Currently, Quintero is an intern at KCTS9 in the community engagement and education department. While already loving it, she is realistic about job searching for after she graduates in June. She is interested in doing work with the Bill and Melinda Gates Foundation as well. While she was invested in her education, she recognizes those people that were invested in her. When visiting her hometown, she advises students there to look beyond Eastern Washington. She was part of the Dream Project for a while as well, seeing the same issues arise in Seattle as she faced in Mattawa. Moral of this story: make it happen. I couldn’t be more proud of this amazing leader and incredible young lady. She’s one of the most genuine, sincere and joyful people one could ever meet. Vero, I am blessed to have you in my life and can’t wait to see you continue this wonderful journey of yours. Cheers to your success and congratulations on a job well done! You are a true leader for all students and a gem in the Class of 2013! WOW… what a tremendous success story; hard work and dedication do payoff! Vero, thank you for sharing personal details about your family and your road to success. You are an inspiration and role model to many who will follow your path. Congratulations on your upcoming graduation and much success in your future endeavors.